Krylon aerosol’s most famous benefit is COVERAGE with Covermax® technology providing brilliant colour. allows full control of spray and prevents finger tiredness. never compromised during long dry intervals, the result being a smooth and flawless finish. Has excellent weatherability and allows you to get the job done faster and with a superior result. Great colour range with high impact. For use on: Wood, Metal, Plastic, Wrought Iron, Plaster, Ceramic, Fabric, Paper, Paper Mache. Fusion is the revolutionary no-prep, superbond paint for plastic. No sanding or primer required. It bonds easily to most plastics, PVC, vinyl, resin & more. Use Fusion to restore, revive or restyle plastic items. Fusion dries in 15 minutes or less and is fully chip resistant after 7 days. Specifically designed valves for formulations ensure proper mix and flow. For use on: Wood, Metal, Plastic, Wicker, Hard Vinyl, Glass, Wrought Iron, Plaster, Ceramic, Fabric, Paper, Paper Mache. Rust Tough is a fast dry rust eliminating enamel with high levels of corrosion inhibitor. High resistance to salt and superior fade resistant gives an extremely versatile field of use on metal, wood and more without primer. Provides an ultra-high gloss finish. Specifically designed valves for formulations ensure proper mix and flow. Guaranteed. For use on: Metal, Wood, Masonry, Concrete, Wicker, Ceramic, Glass, Plaster. Unique projects, like painting the grill, call for a specialist. 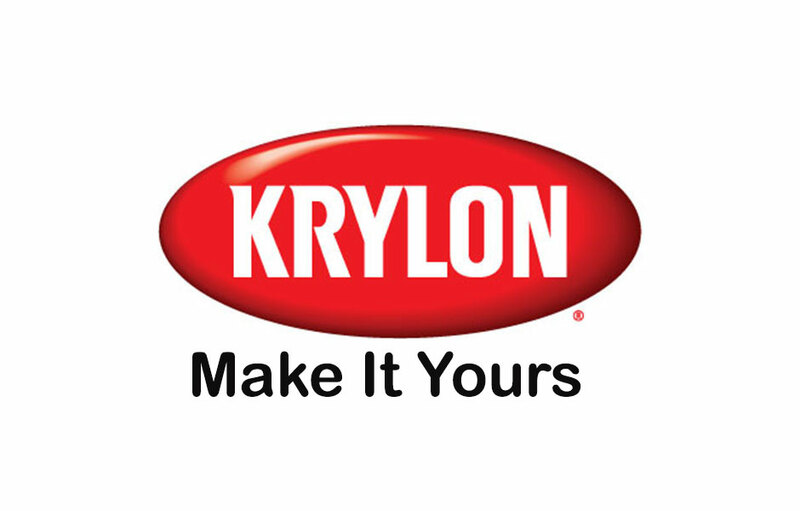 Krylon® High Heat delivers a durable enamel finish that can stand up to high-temperature swings. In just minutes, you can keep your grill, firepit, fireplace screen and even your stove looking new longer with a beautiful, seamless finish that lasts. Interior or exterior use on metal. Not for use on cooking surfaces. Cleanup: paint or lacquer thinner. For best adhesion remove loose paint, rust, dirt, grease or oil from surface. Sand glossy or rough surfaces until smooth and wipe clean, apply to a dry surface. Provides a bright, polished metallic finish. • Ideal for furniture, décor and crafts. • Interior only; not for use on craft foam. • Features EZ Touch 360°® Dial Spray Tip. • Dries to touch: 10 minutes. • Dries to handle: 1 hour. • For use on: Wood, Metal, Plastic, Paper Mache, Glass, Plaster, Ceramic, Wicker. •Dries to touch in 10 -15 minutes. •Dries in 10 – 15 minutes. • Protects pencil, pastel and chalk drawings. •Non-firing glaze for polymer clay, bisque, plaster and more.